According to Politico, Kushner, accompanied by Special Representative for International Negotiations Jason Greenblatt, and Deputy National Security Adviser for Strategy Dina Powell, arrived in the region on Monday and held talks with leaders from Saudi Arabia, Qatar, the United Arab Emirates and Jordan. On Wednesday, the US delegation is expected to arrive in Israel, the media outlet said citing a White House aide. It is Kushner's third trip to the region in 2017. 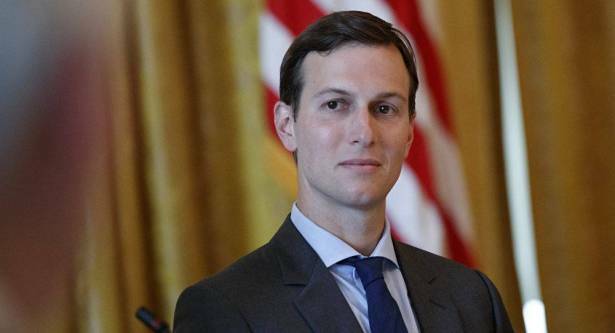 On August 11, a senior White House official said in a statement that Trump would send Kushner to the Middle East to discuss the Israeli-Palestinian conflict, the issue of global terrorism, and crisis in Gaza. However, no specific date was announced. The publication notes that Kusner was absent at Trump's first major national security address on Monday night in Arlington devoted to the US new strategy on South Asia, however, his wife, Ivanka Trump was present. On June 21, Kushner and Greenblatt met with Israeli Prime Minister Benjamin Netanyahu and Palestinian Authority President Mahmoud Abbas during a trip to Jerusalem and Ramallah. Kushner's objective was to reaffirm the White House’s commitment to the goal of a lasting peace deal between the Israelis and Palestinians.